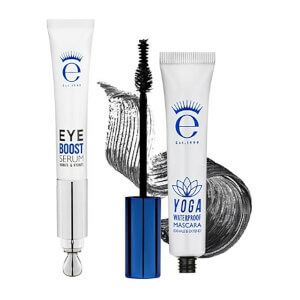 Reach lash nirvana with every stroke of our lotus brush to extend, lift & curl for flexible hold. 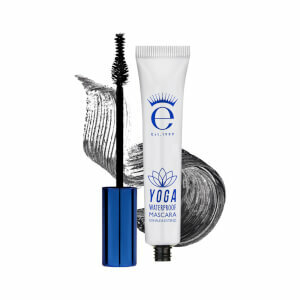 Make Yoga Waterproof Mascara part of your daily mantra for lashes that last. Our Korean-made waterproof formula is infused with Matcha Green Tea blended with botanical fruit extracts including Strawberry, Blueberry, Blackberry and Vitamin E for an antioxidant boost - like a smoothie for your lashes! Featuring an innovative new brush design which evokes the beauty of a lotus flower. 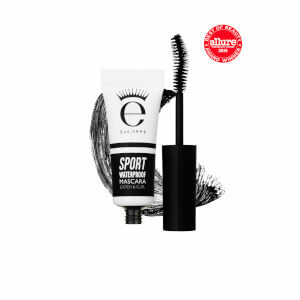 With a straight tip designed to catch shorter lashes to lengthen and extend and bulbous dense bristles to create curl and volume for a lifted, enhanced lash look that lasts all day. Isododecane, Trimethylsiloxysilicate, Microcrystalline Wax, Polyethylene, Disteardimonium Hectorite, Silica, Dextrin Palmitate/Ethylhexanoate, Hydrogenated Polyisobutene, Silica Silylate, VP/Eicosene Copolymer, Polypropylsilsesquioxane, Cellulose, Ethylene/Propylene Copolymer, Propylene Carbonate, Glyceryl Caprylate, D & C Black No.2 (C1 77266), Sorbitan Isostearate, Polymethylsilsesquioxane, Triethoxycaprylysilane, Aqua (Water), Tocopheryl Acetate, Camellia Sinensis Leaf Extract, Butylene Glycol, 1,2-Hexanediol, Phenoxyethanol, Aristotelian Chilensis Fruit Extract, Euterpe Oleracea Fruit Extract, Fragaria Chiloensis (Strawberry) Fruit Extract, Lyceum Chinese Fruit Extract, Morus Nigra Fruit Extract, Ribes Nigrum (Black Currant) Fruit Extract,Rubus Coreanus Fruit Extract,Rubus Fruticosus (Blackberry) Fruit Extract, Rubus Idaeus (Raspberry) Fruit Extract, Vaccinium Angustifolium (Blueberry) Fruit Extract, Vaccinium Macrocarpon (Cranberry) Fruit Extract, Vaccinium Myrtillus Fruit Extract, Ethylhexylglycerin. 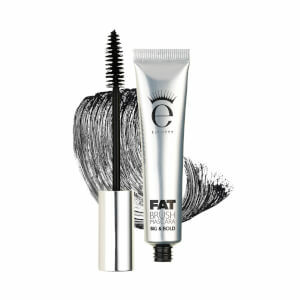 Removes with Mascara Off Wipes, oil or bi-phase cleansers.